Leaders are often defined by how they react in times of crisis. 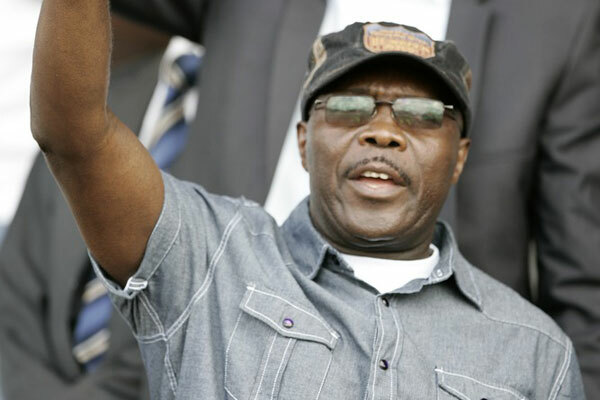 The crisis currently faced by Gor Mahia is significant. Every single day seems to bring more bad news whether it is key players leaving, sponsorship deals falling through due to politics, not to mention the fact that for the first time in years, Gor Mahia appears unable or unwilling to sign any players. Players whom the club was said to be targeting have instead chosen lesser clubs. This includes former players whom the fans expected would be re-signed. A playing unit that was depleted by mass departures of key players in January was further depleted in June and again in December. The club has been unable or unwilling to replace the departing players with players of similar quality. There are stories of deals falling through because the club chairman did not show up to a meeting. There are also reports of disunity with the club’s executive committee, as well as reports that players have not received their November salaries. That the club was still able to win the league under such difficult circumstances appears to be a miracle. However the way things are going it is highly unlikely that the club will be able to repeat the feat in 2015. Now the club is even contemplating not participating in the CAF champions league. It is true that in 2014, Chairman Rachier and the EC attempted a raft of measures to stem the problems created by Tuzo’s withdrawal as sponsors. Most notable of these were the 350100 MPesa initiative, the membership drive, jersey sales and the grand fund raiser whose initial target was to raise KES 60 million. All measures failed in their goals or only partially met their goals as was predicted on this column. A good leader would do an honest self-assessment to find out why all these initiatives have failed. We keep hearing officials complain that the club has huge fan base but the fans are unwilling to contribute. Have these officials ever really asked themselves why fans do not contribute? So why have these initiatives failed? This word needs no introduction. It has been said many times but it bears repeating. Unless the club puts in place a system that will assure fans that money will not be missapropriated, they will develop cold feet when it comes to contributing their hard earned money. That is why it was so comical when Secretary general Chris Omondi went on social media to tell fans “Do not deceive yourselves, transparency is for members only”. Even at this point some fans are skeptical about the club’s finances. Many do not believe the club is broke given that some money was raised during the end of year fund raisers. So fans are perplexed as to why the club failed to pay November salaries on time and has not signed any player. If Rachier wants to assure transparency he can hire a external/reputable auditing company like Price Waterhouse or Diamond Trust. This company wil be responsible for soliciting funds for various initiatives like membership drivem, SACCO and the 350100 initiative. They would then keep an agreed upon portion of the receipts and disburse the remainder to the clubs for expenses like transportation and so forth. This way the handling of finances is taken out of the hands of the EC and transparency is assured in the eyes of fan. The club assumed that die-hard fans would pour forward and enroll as members. When this did not happen, sec gen Omondi went on social media to vent his frustrations. No matter how popular a product is, a company has to advertize it and convince the public to buy it. Gor Mahia is in the same boat. The membership drive should have been pushed hard. The club should have been selling membership cards at every match including friendly matches. Furthermore, the club should have been taking measures to assure those who are concerned about missapropriation of funds. The 350100 started with vigour and the club was even taking tentative steps towards accountability by showing the club accounts online. But then they suddenly stopped. And now they wonder why fans are no longer contributing? Club officials have complanied that fans are not buying merchandize. They must ask themselves why. They must ask fans why. Look: Fans will not simply buy jerseys to support the club. They must actually like the jerseys. And it must fit in their price range. Why were the “Gor Mahia” labeled jerseys so popular in 2010? The had the club name on the front. And they could be customized to write a fans name on the back. And the price range was reasonable. A business must customize products to suit customer tastes. This club is no different. If the new Joma jerseys do not fit this criteria then the club should not be surprised if jersey sales are below par. Indeed if Joma does not provide flexibility then the club should ditch them and work with a different supplier who can produce jerseys cheap enough that fans will not have to buy cheaper knock off jerseys from river road. A supplier who can customize jersey names for each fan. The club must then tell fans where to buy jerseys and educate them on why it is important to buy only from legitimate sources. Chairman Rachier announced that the club is forming a SACCO starting on December 28. Unless they apply the lessons learned with regard to transparency, sustainment and affordability, the SACCO will also be colossal failure much like the membership drive and other initiatives. Nothing has changed. It is still the same fan base you are appealing to. What makes the club officials think that the SACCO initiative will be different. The club never made an effort to get contributions from diaspora based fans. We understand Rachier was in the USA on holiday. Perhaps next time he visits, he should consider setting up an overseas branch for the club. There are numerous fans based in the diaspora who can contribute to the club’s fortunes if convinced. With the club in turmoil, the chairman must step forward and steady the ship as it navigates stormy waters. The current atmosphere in the club is not conducive to attracting sponsors because sponsors want to to be associated with well run organizations, and not organizations that appear disjointed. The current atmosphere is not conducive to attracting potential players especially when they hear about unpaid salaries. It is therefore imperative that Mr. Rachier step forward and re-assure the fans, members and the playing unit and bring an end to the discord and disunity within the EC. Club officials should be pulling together. As mentioned above, a disjointed EC is not conducive to good public relations. Secretary general Chris Omondi has recently complained that some of his initiatives were shot down. Among these was the partnership with Diamond Trust Bank and pay gate in a bid to introduced computerized ticketing to ease loss of money at the gates, but this was hugely criticised and never implemented. If true then perhaps Rachier owes a cogent explanation to Mr. Omondi on why this initiative was shot down. Omondi was after all duly elected. And since this is out in the public, Rachier owes fans an explanation. Why is it that at a time when the club is broke, the club is refusing to take steps to stem losses? Why not bring Diamond Trust back to handle both gate collections and membership funds in order to inject a modicum of transparency. Omondi further complained that he was interested in signing younger players while other EC members wanted to pursue experienced players like Joackins Atudo. The situation whereby EC members decide which players is comical because none of them are qualified for this task. The EC should also leave signing of potential players to competent technical staff such as Bob Ogolla, Fran Ouna and others, unlike the current comical situation where EC members were fighting over which players should be signed. Will the club always be in begging mode? We hope not. Mr. Rachier should chart his vision for how money raised via memberships drives or the SACCO will be re-invested to take the club out of begging mode. Set a realistic goal. Instead of making empty unreachable goals like building a stadium, why not set a goal of developing sports ground. One that can be used for training but can also be rented out for use for various sporting events, by organizations, like FKF lower leagues, KRFU and even companies. By setting realistic goals, fans will be more inclined to contribute financially. Another key to the future is to get rid of the club’s archaic constitution and replace it with a modern constitution so it is run by competent professionals. Only the Chairman and one Vice Chairman position should be elective. The club should have a competent general manager in charge of keeping accounts in a transparent manner, marketing the club to potential sponsors, marketing the club to potential fans. Etc. Such a person should be hired on a performance contract which means for example his pay is based on metrics like attendance at matches. Bwana Rachier is also a victim and frankly let’s not expect much, frustrations will boil over ! I expect MASS Resignations before January 2015. I have just reliably learnt that the club did struck a deal with KRA to be remitting Kshs 8 million per quarter for an agreed period of time towards clearing the Kshs 118 million outstanding bill. Could this be where the money is leaking ? If that is the case then we are DEAD BROKE – forget new players, forget salaries, forget accountability, forget transparency, forget titles in 2015………..,.and the entire EC should simply call for urgent elections before 30th December we decide the fate of the club. Even rangers football club in Scotland was put put under receivership and almost wound up !!!! @Jakoyo, i liked your estimates on the previous article but be informed that the investor has to buy our assets and liabilities. That’s how it works. We are in ICU and are clearly bankrupt. As much as AR has not brought the change we needed to move a step higher he has actually done his bit. Even if he were to leave now we cannot say that he leaves it in a worse situation. @Manaseh, note that under AR we won the league twice after 18 years and the Shield several times, We even managed to get a sponsor in TUZO. To you those are not things to write home about? The fact is that even the best dancer has to leave the stage at some point as they usually run out of ideas(moves) but that is not to appreciate what they did when they still had the ideas. How much value are the other EC members adding? Looks like apart from the SG and AR the rest were just basking in glory of being Gor officials. No idea on merchandizing, PR , security etc name from them. If they really love the club i think they should actually resign and we get people who can take the club forward. Even ODM realized that you cannot use the old men of yesteryears to compete with the current generation and after some soul searching allowed the Namwambas to run the party. We want the same in Gor. I don’t think the Ngalas can now add any more to Gor. But this is not to say that we replace all analogue EC members. There is always merit in having that mix to bring stabilization and checks/balances to the organization. I wholeheartedly support the idea of bringing back a reputable company such as Diamond trust to handle ticket sales as was proposed by sec gen. Perhaps even handle other issues like membership. Gor Mahia’s Secretary General Chris Omondi has rescinded his earlier decision to quit his role at the club, Nairobi News can exclusively reveal. The official had quit in a huff over the weekend, via a text message to club officials, in which he claimed to be “frustrated” by the way his role in running the club affairs had been undermined by his colleagues. But the development has since taken a new twist, with credible reports suggesting the club’s Executive Committee met earlier this week and talked him into changing his mind. “We have convinced him to stay. He had genuine concerns that he shared with the whole technical committee and we tried to seek a middle ground on the issues of concern,” a source within the club told Nairobi News. Currently, the playing staff is being owed close to two months in salary arrears, a financial shortfall that has led to the departure of two senior players Geoffrey ‘Baba’ Kizito and Dan Sserunkuma. The problem is that some officials are comfortable with the status quo while the SG wants to change the way things are done. The Chase Bank and Diamond Bank projects to have some stability in the club. We need more of such but they should be aggresively marketed at every forum for the fans to take them up.